Welcome to Motorwerks BMW. As a proud member of Penske Automotive Group, we are dedicated to serving all of your automotive needs and providing the best customer experience possible. Motorwerks BMW is an automobile dealership that provides a uniquely high-line car buying and service experience. One that understands that they live in a world of choices at their fingertips and when they choose BMW's ultimate driving machine, they should be met with the ultimate buying and service experience. We believe that this experience is created by an enthusiastic employee base built on a foundation of integrity and a customer first attitude. Because we believe in the passion and innovation of the BMW brand, Motorwerks BMW is proud to offer our customers one of the best new BMW, used BMW, and Certified Pre-Owned BMW inventories in the Minneapolis-St. Paul metro area. 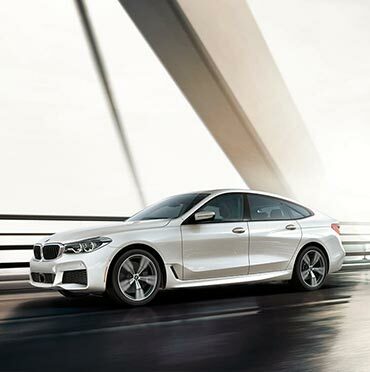 As one of the Twin Cities’ favorite BMW dealerships, we have all the latest BMW vehicles in stock—from the BMW 3 Series to the BMW X3 SUV and even the new BMW 4 Series too. In addition to used BMWs, we also have a variety of used cars from other automakers on our lot as well. No matter what you’re looking for in a new car, we can’t wait to help you find it at Motorwerks BMW! When it’s time for routine maintenance or more serious car repair, put your vehicle in the trustworthy hands of the BMW-certified technicians at Motorwerks BMW. Experienced in all aspects of car repair, from oil changes to transmission servicing, and everything in between, our Service Department can also provide you with any genuine BMW parts you’re in the market for as well. For your convenience, you can now schedule service appointments online. You can also use our website to view our current specials, apply for financing, calculate payments on a new car, and estimate the value of your current vehicle as a trade-in.